Boost performance with an all-new 64-bit FrameMaker. Create rich, immersive content with unmatched image handling capabilities. 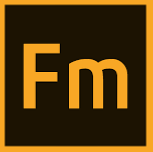 Experience faster opening and publishing of PDF and HTML5 files. Get started with XML/DITA authoring with an easy-to-use workspace, productivity enhancements. With an all-new 64-bit architecture, you can significantly boost productivity with more memory for long, complex documents. Open files up to 40% faster. Work with images like never before with support for transparency, high quality import and other striking enhancements. Open up a world of possibilities with the latest technologies, modern libraries, Duden hyphenation and spell-checking support.